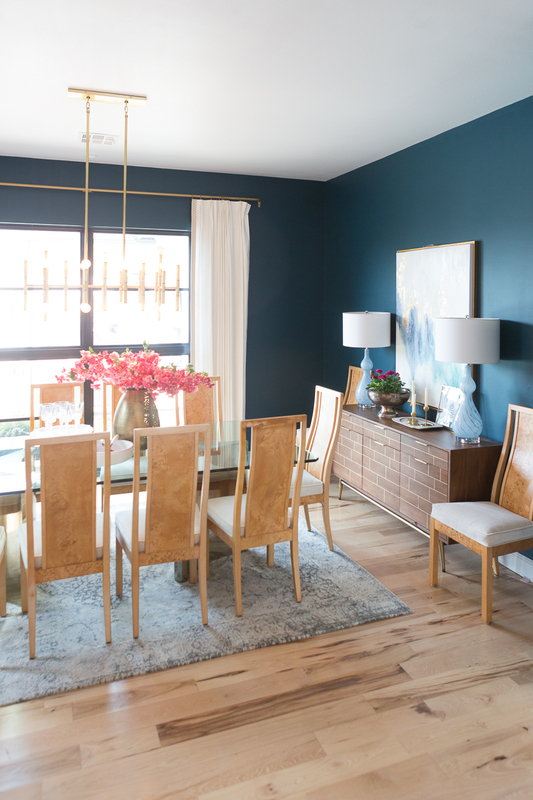 Choosing the perfect area rug can be a challenge to say the least, which is why I’ve got your back today with this CC and Mike Guide to Buying the Perfect Area Rug! And the extra good news is that there is a limited time sale going on in CC and Mike the SHOP where our best selling rugs are 20 percent off with code RUGS20. Now not all our rugs are on sale but our best sellers are. So, I thought this was a good time to circle up and show you not only what all our best sellers are, but WHY they are best sellers. In addition, I’m going to show you photos of each rug used in different projects AND design boards that I have used the rugs in for upcoming projects. I’m also going to tell you what colors I like to use the rug with and what stylistic preferences the rug lends itself to. 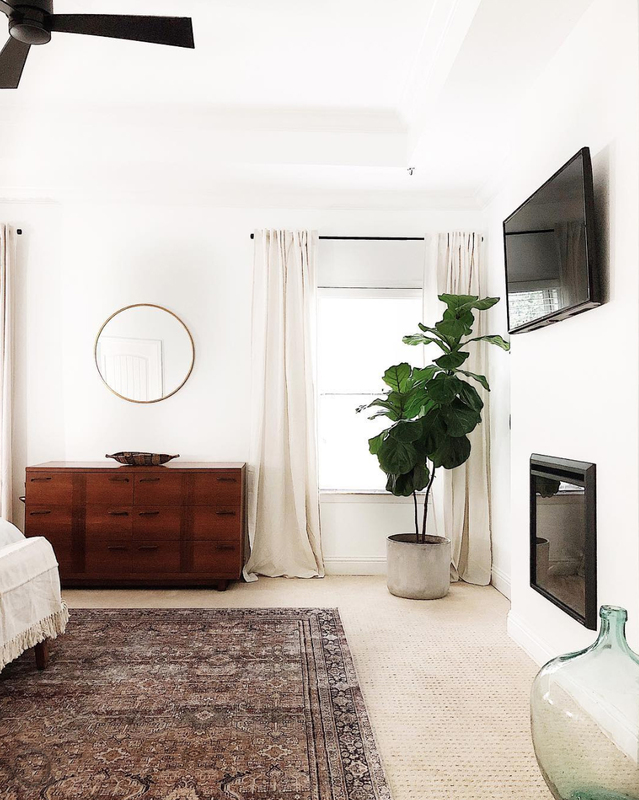 So, by the end of this post I hope this CC and Mike Guide to Buying The Perfect Area Rug, helps you buy the perfect area rug for your home. Trust me, these are all beauties and they wouldn’t be in CC and Mike The Shop if I hadn’t seen them in person and fell in love with them! 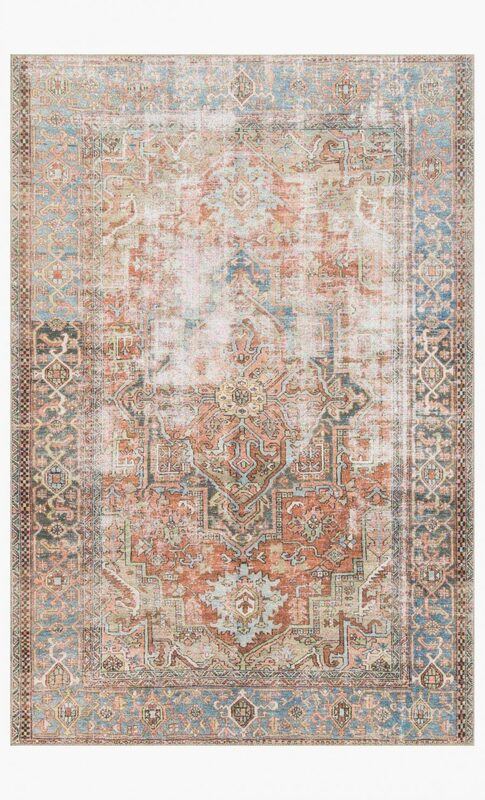 This beauty is perhaps my absolute favorite rug and has been a best seller in our SHOP as both an area rug and a runner. IT IS CURRENTLY SOLD OUT in the larger sizes (above 3×5) but the good news is you can pre-order yours now to ensure that you get one from the next shipment which will be June 2019. 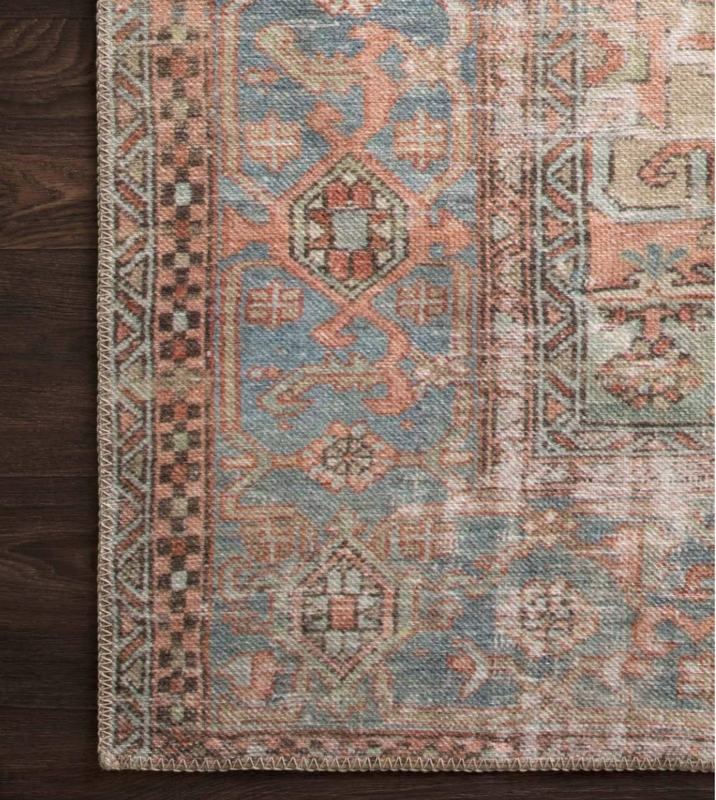 I just used this rug in our Kane Project remodel and you guys, I’m dying that I can’t show you the photos. There is a very big and exciting announcement coming that is associated with that project so I can’t reveal the photos until then. For now, let’s just say this rug is a BEAUTY and I’m using it in multiple projects. It’s phenomenal and can go with so many different colors and styles. 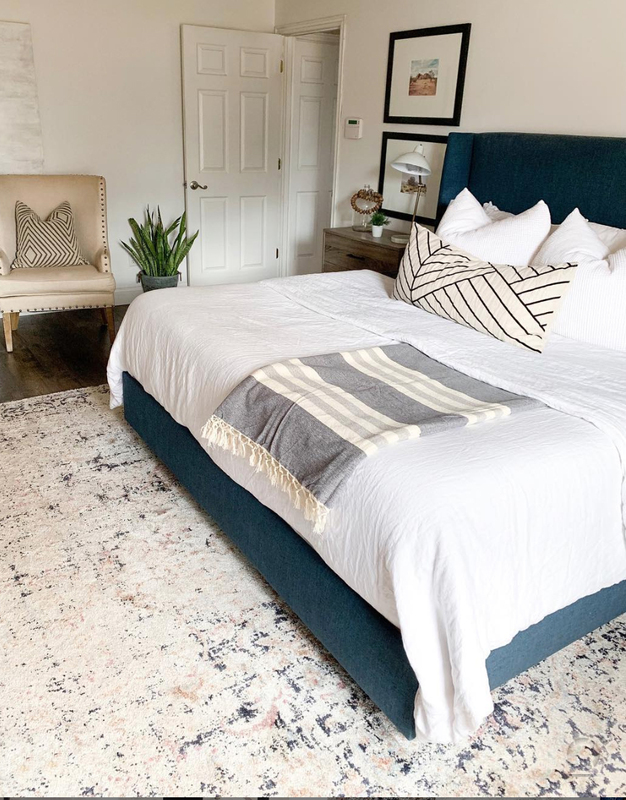 The versatility of this rug is one of my favorite things about it and I highly recommend ordering it up for your own home! COLORS CC RECOMMENDS WITH THIS RUG: I love this with denim, rust, black, gray, light green, white, and even navy and blue tones. 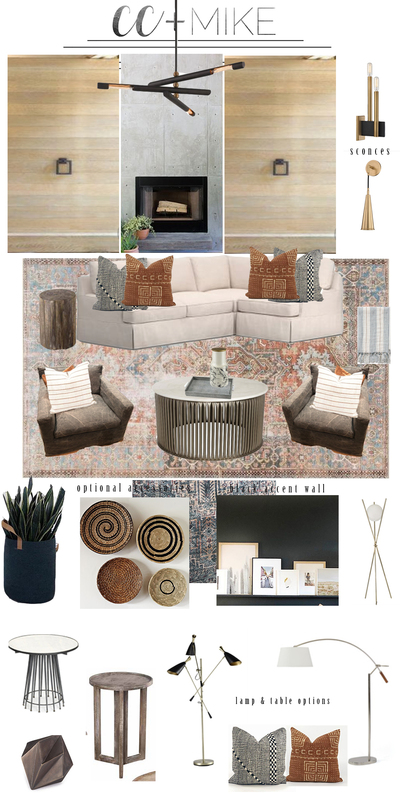 I am including a design board I did for the Kane project so you can see how it looks planned into that living room with a black statement wall and wood and a more eclectic vibe. 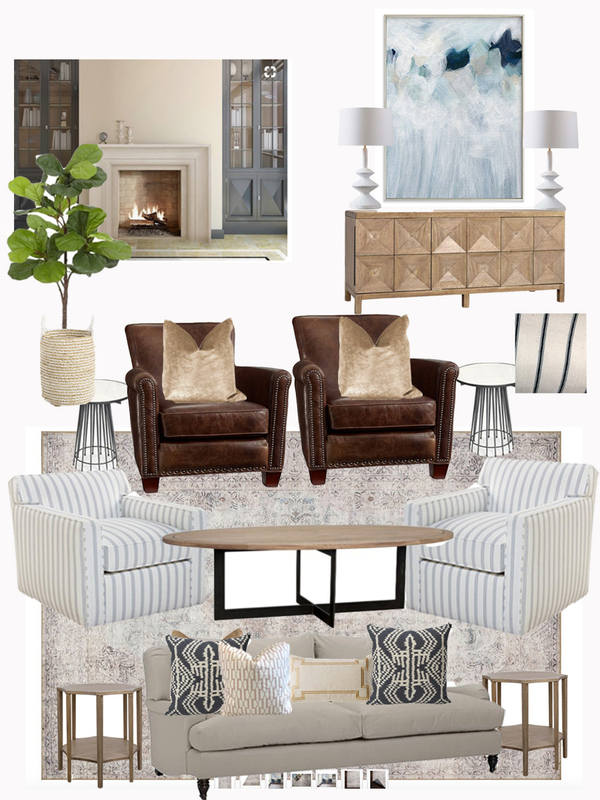 You could also take this in a more neutral/traditional direction by simply changing out the accessories, art, and prints for more neutral stripes and tones. This rug. You guys, I SWOON. It goes with everything. We even used brick, wood, and a black statement wall in the Kane project and it looks good with all of it! Remember, it’s sold out but you can preorder to receive yours on the next shipment. It makes the most beautiful kitchen runner too!! We matched it in the living room on the Kane project and used it in the living room AND as the kitchen runner and I’m just in love with how it turned out. The Anastasia rug line is such a beautiful and affordable option for large area rugs. You will see three different Anastasia rugs in this post atheyhe are all best sellers of ours. The Anastasia Ivory/Multi is what I have used in our personal bathroom to refresh it for Spring and Summer. 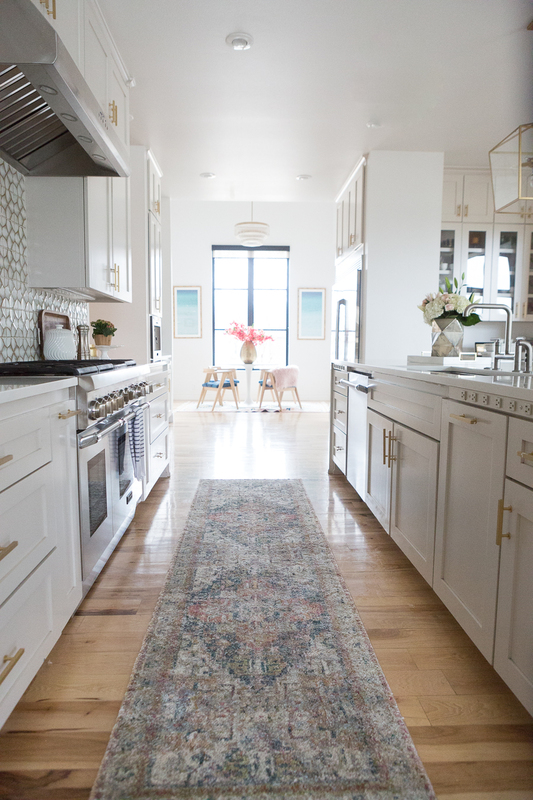 The Anastasia rug also makes a beautiful kitchen runner and is so affordable. We love ours in our Kitchen! 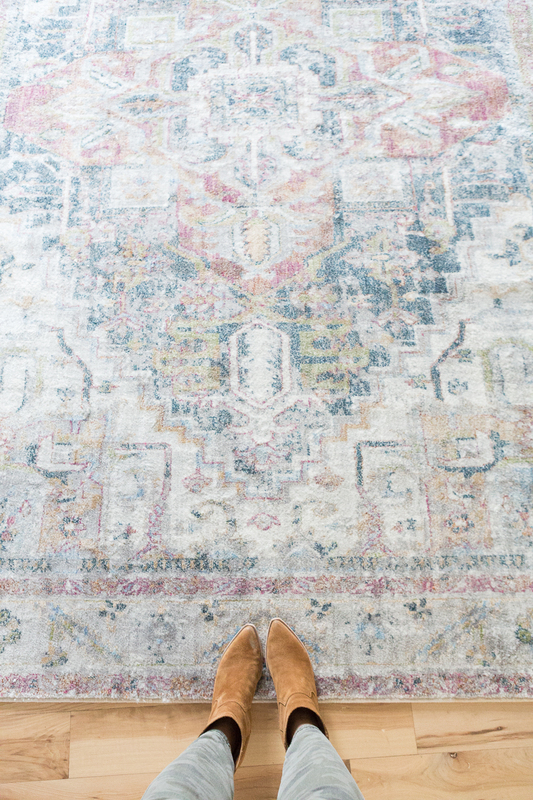 COLORS CC RECOMMENDS USING WITH THIS RUG: White, Pink tones, gray, navy, black, denim. And below is a Sneak Peek at our Skye Berry used in a teen girl design for the Beaver Lake Project. Don’t just stop with the SKYE Berry rug. They are ALL Beauties! I recommend these rugs in any all rooms in your house from living rooms to laundry rooms to kids rooms to dining rooms. Seriously you guys, these rugs are STATEMENT MAKERS in the best possible way and I highly recommend this line of rugs. 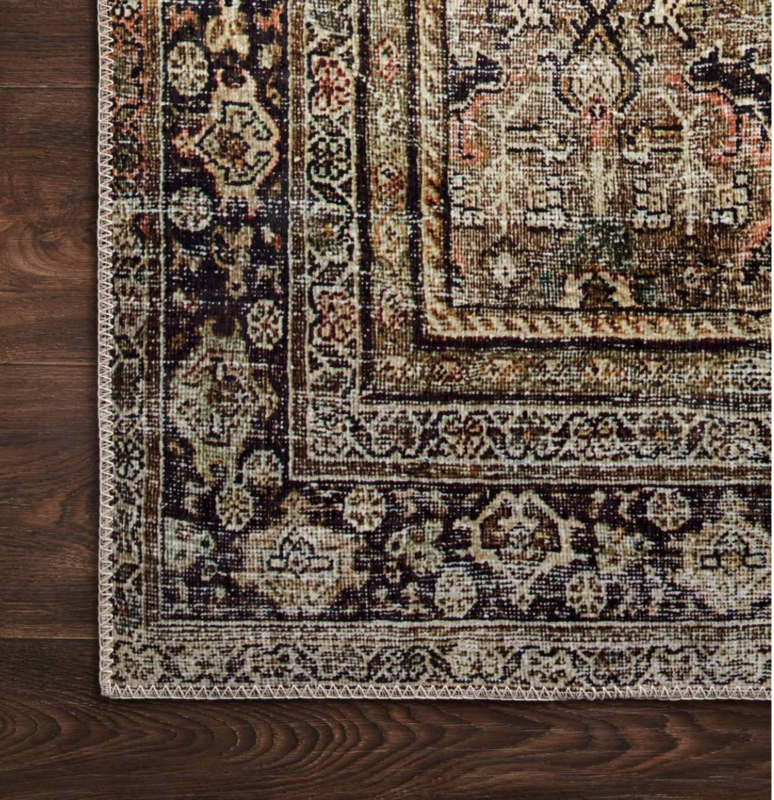 Here is another one of the Anastasia rugs! 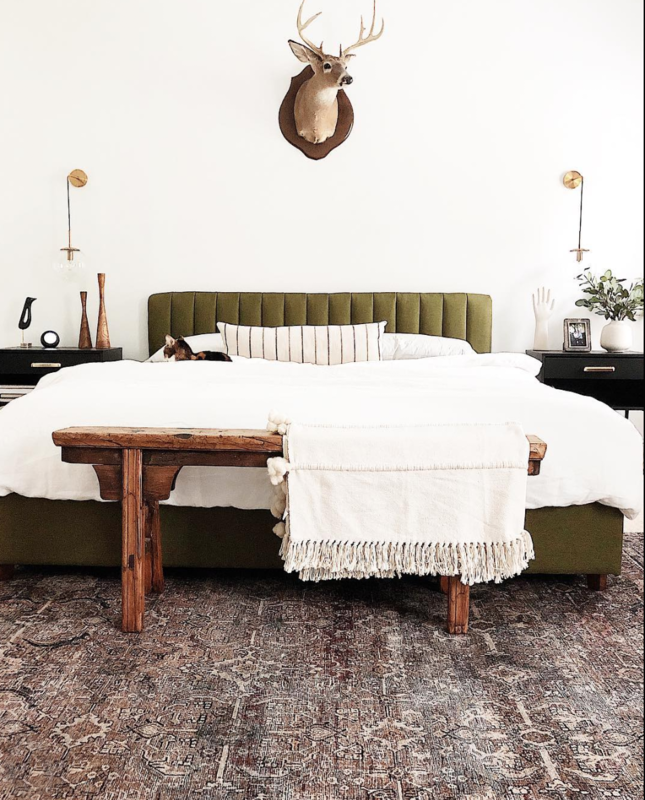 This rug has very earthy tones and I love how Sandi of @thespoiledhome used it with very natural colors, wood, and earthy toned, organic prints framed by the beds. This is exactly how I recommend using this rug! I love this photo on Sandi’s rug that really shows the colors in the carpet. 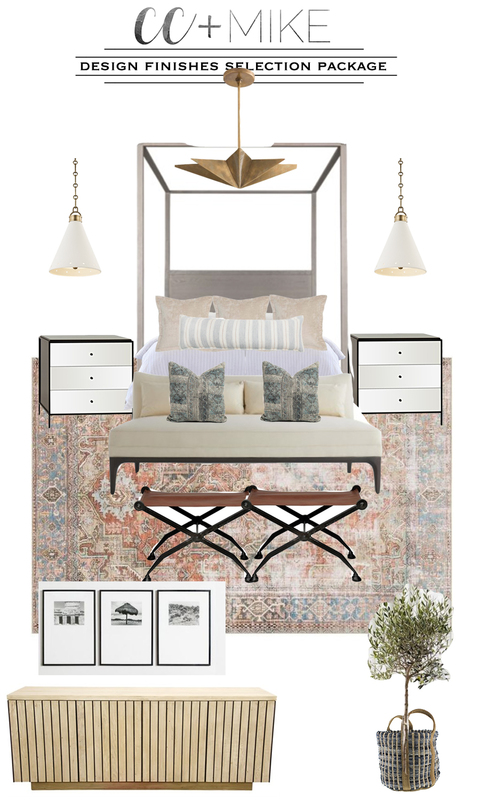 You can see why I say you can pull out blush and copper tones and even blues with this rug when you look at this photo. I also think it would look amazing with LEATHER! Next up is our Ansastasia Blue/Slate rug. Gosh, this rug is a beauty. It has more subtle grays and green/blue tones. 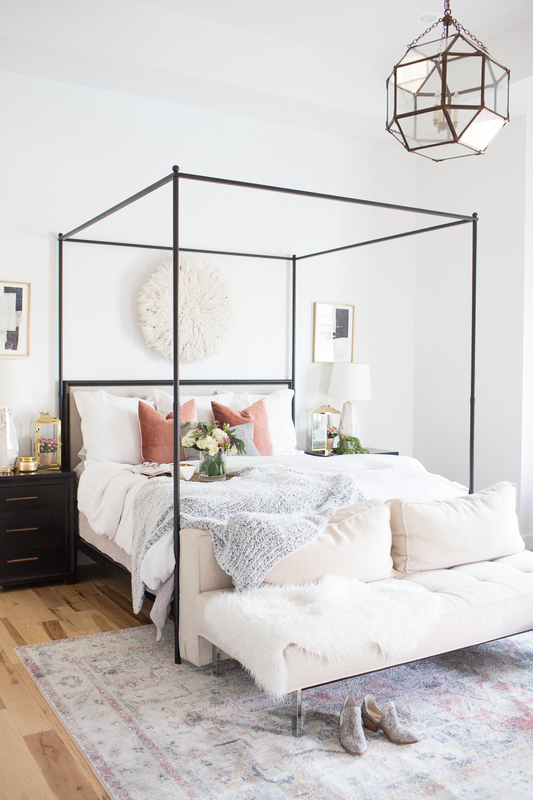 I LOVE it in living rooms and bedrooms and think it’s just such a classy, neutral rug. 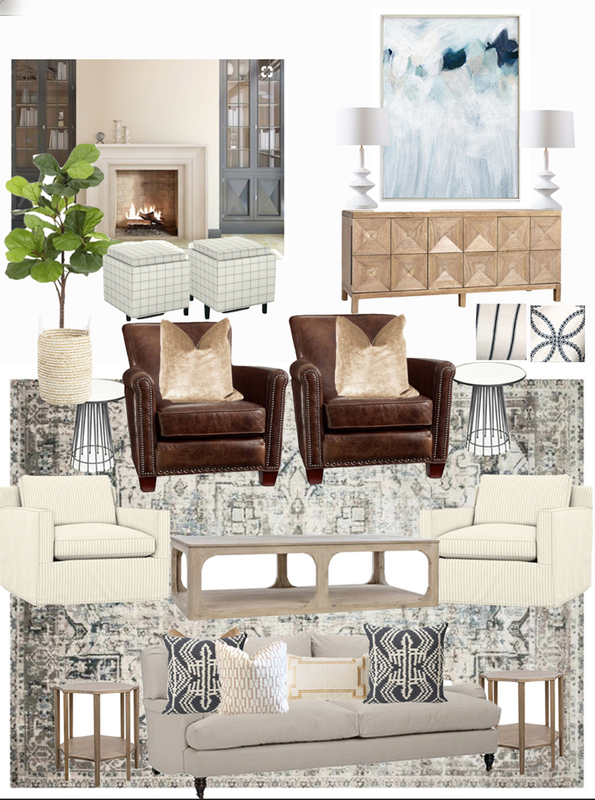 You will see that I used it in the design board for the Frisco Project living room (below) and pictures will be coming after install! I love this rug so much! It makes a beautiful runner and area rug. We also are using it as the entryway rug in the Frisco project. 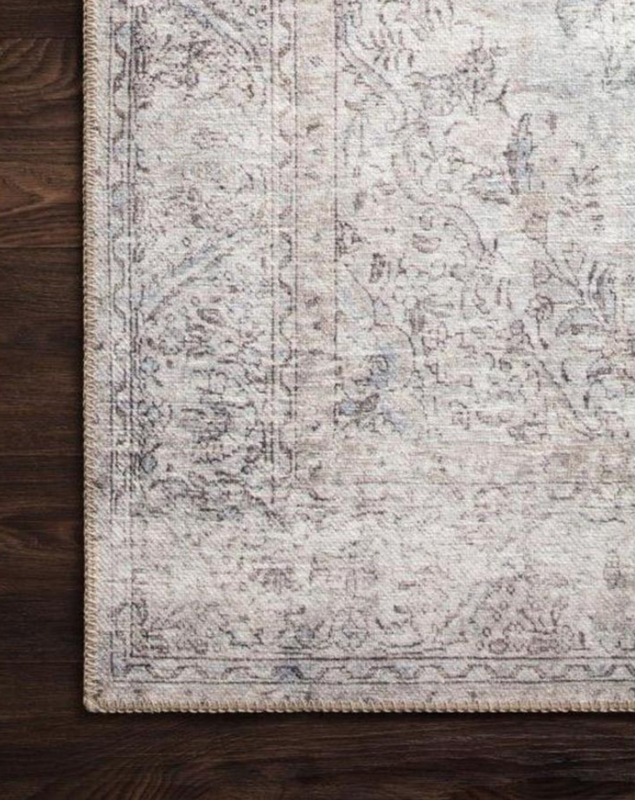 The pattern has a more formal feel to me and therefore this rug can go in a “dressier” direction with the right selections, or it can be casual. Regardless of which way you choose to take it, the Silver Slate Loren is a timeless rug that will stand the test of time. 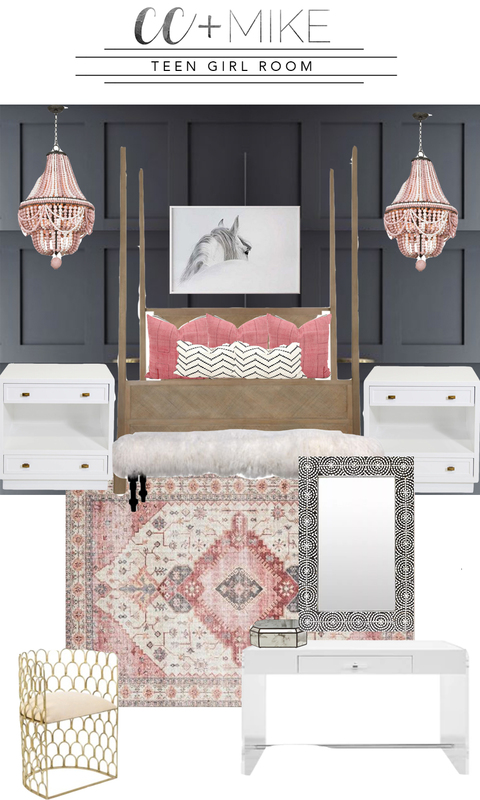 You can see below where I also used it in a design board for the Frisco project and I believe it shows how the Silver Slate Loren gives the room just a bit more formal look than the Anastasia. Style: Traditional, More Formal (if desired). This is a great rug to use with dark painted walls as well since it has a nice light feel and pattern to it. 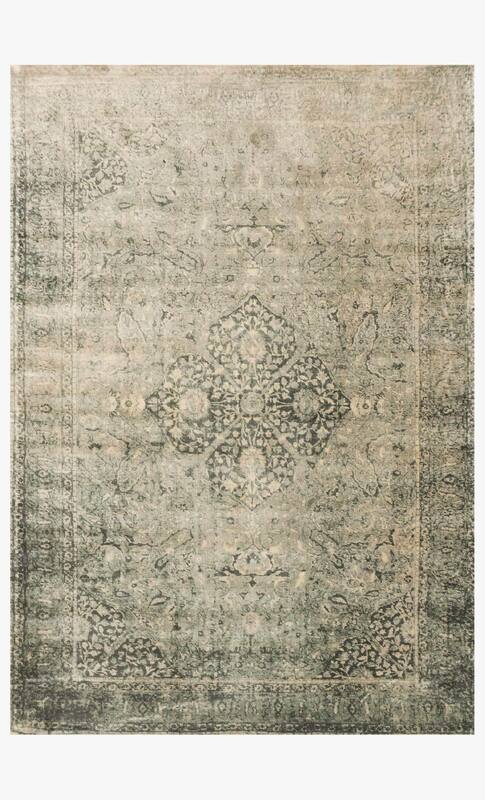 The NYLA slate is the rug we have in our dining room. It is a beauty and is one of those rugs I see myself having forever. 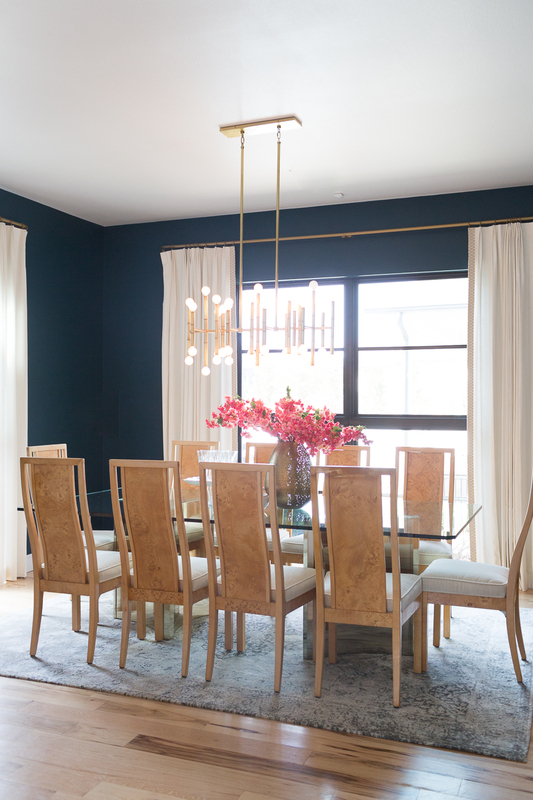 The pattern lends itself to a bit more formal feel in my opinion and I love it for dining rooms, master bedrooms, and living rooms. 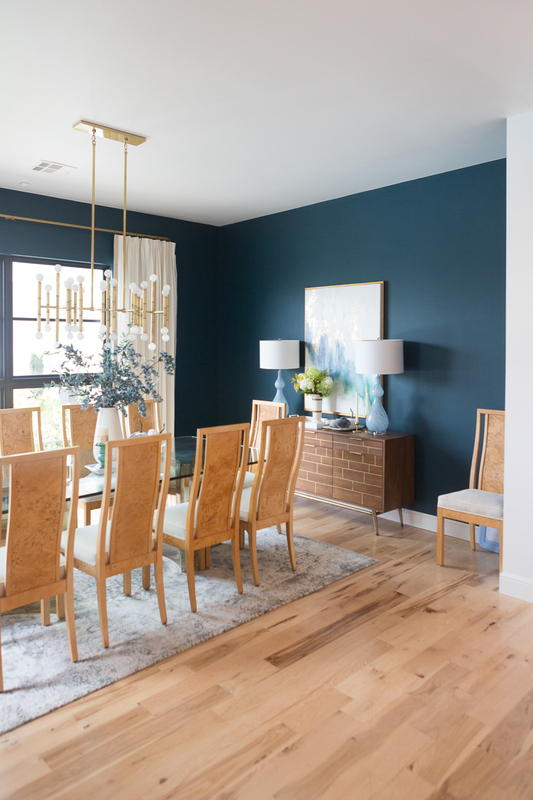 I love the rug with our dark green walls painted in Benjamin Moore Dark Harbor. 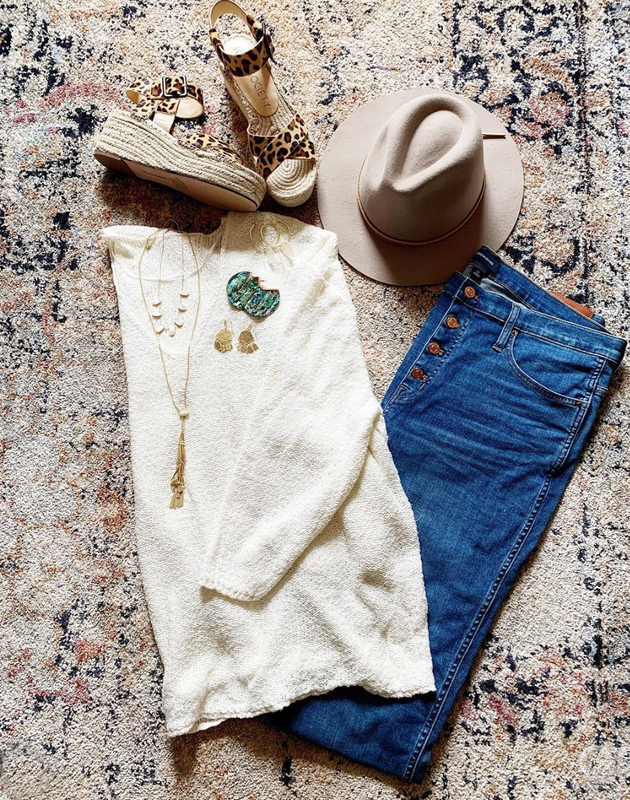 The rug pairs really nicely with green and gray tones. 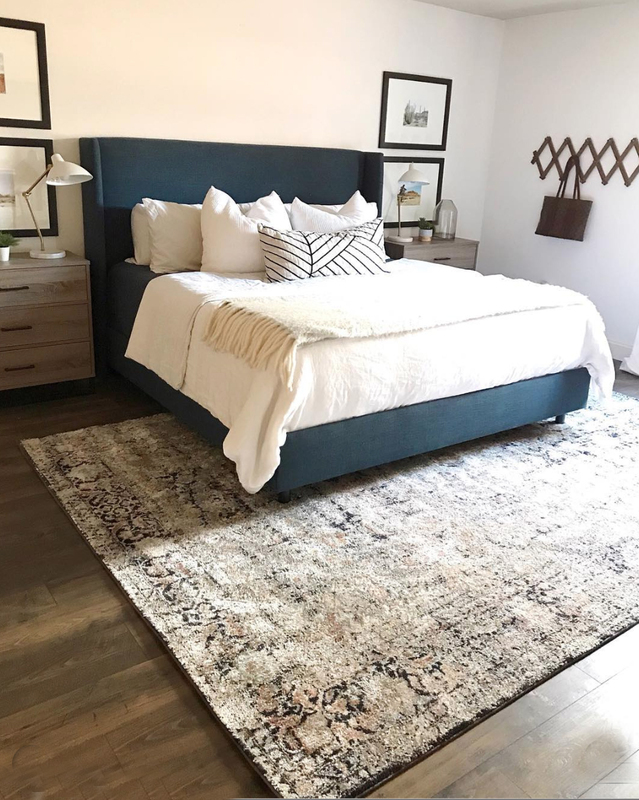 The final rug on the CC and Mike Guide to Buying the Perfect Area Rug is this beauty that my friend Nicole used in her master bedroom. First of all, she is a design genius and second of all, this rug is so phenomenal and I want it for my master bedroom and/or living room. It’s such a beauty that it sold out in a heartbeat but the good news is, you can pre-order it at CC and Mike the Shop to make sure you get one before they sell out again. This rug looks AMAZING with leather and deep greens, blacks, copper and has an eclectic vibe that I absolutely love. OMG can we talk about how amazing it would be in a study as well with dark black or natural wood cabinets. Trust me, you’re going to be seeing this one in some upcoming design boards and projects from me AND you’re going to see it in my house soon. I just can’t decide if I want to do the living room or master bedroom. Stay tuned! Thanks for stopping by and checking out the CC and Mike Guide to Buying the Perfect Area Rug! Hope you find a beauty for your own house and if you do, send me pictures so I can see. 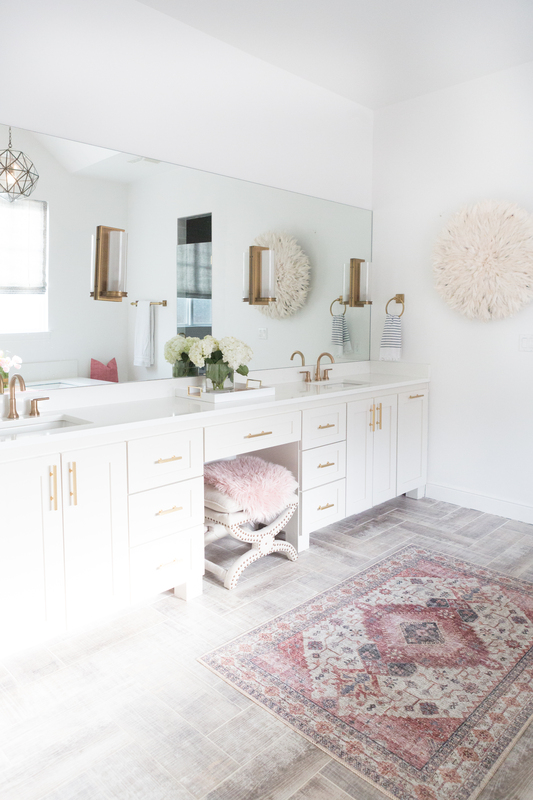 It just makes my heart so happy thinking about our rugs in your homes!